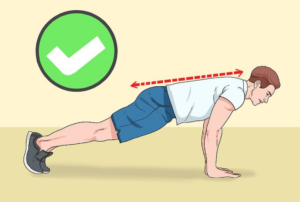 Push ups have always been a symbol of upper body strength and fitness. Properly done push ups will build your chest, shoulders, upper arms and upper back and get you in great shape. The push up program’s purpose is to increase the maximum number of push ups you can do in a single set. For best results you are going to do 3 dierent push up exercises and you will work out only 3 times a week. Start with a regular push up. The goal is to do 3 sets of 12-15 reps. 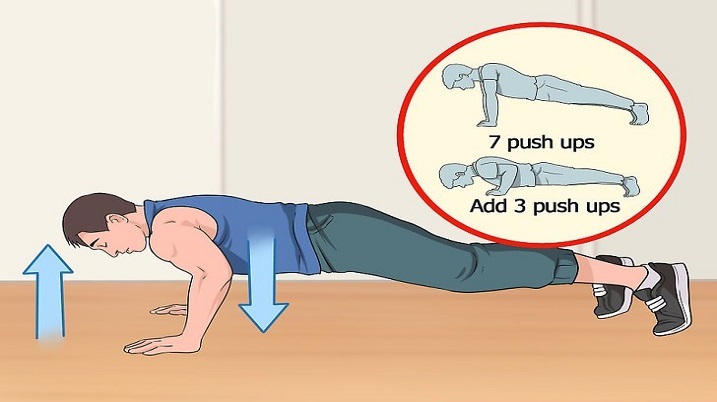 If it’s hard for you, then you can start by doing lower number of push ups. (8,9,10 for example). Go all the way to the ground and then explode all the way back up. Rest only 30 seconds between sets. The next exercise is the close hand push up. The goal here is to do 3 sets of 10 reps. Just like in the first exercise your rest periods between sets should be 30 seconds. Again, all the way to the ground and all the way up with explosive movement. The third exercise is incline push ups with your feet elevated on a chair. This exercise will be harder than the previous two, so the goal is to do 3 sets of 8 reps. You may also need more than 30 seconds of rest between sets so use 45 to 60 seconds of rest on this exercise. Go all the way to the ground and then explode all the way back up. Remember, warm up well before starting the workout and stretch after the workout. Try to add 1-2 repetitions every workout, or 3-6 repetitions every week. In about 10-15 weeks of regular workouts you should be able to do 100 push ups in a single set. Posted byadmin 10. February 2018 Posted inUncategorizedLeave a comment on How To Increase Push-Up Workout ! The bench press is often used to measure a guy’s power.How many times did you hear the question: “How much can you bench press?“. Anyone that is more experienced in weightlifting knows that the bench press is no measurement of someone’s power, but it can be an great exercise to measure someones upper body strength. Your grip may help you or destroy your bench press.Closer grip will work more your triceps and shoulders than your chest.Wider grip will do quite the opposite – your pectoral muscles will do most of the work.Just the right grip will recruit your shoulders,chest muscles and triceps and will give you the greatest pressing power.Lower the bar until it touches your chest.In this position the forearms should be perfectly vertical if you want to generate more pressing power. 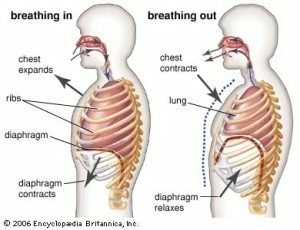 Inhale deeply while lowering the bar, inflating your chest as much as possible.This will shorten the distance the bar has to pass and increase your torso stability.As you press the bar off your chest don’t immediately blow out all your air. That will destabilize the chest and weaken the base you’re pushing from.Instead blow your air out through pursed lips.This will keep your torso stable while lifting the bar. 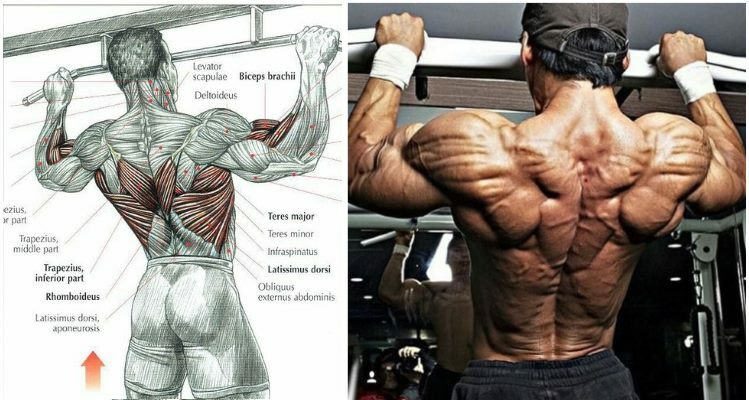 The lats are greatly responsible for keeping the bar in its path, and keeping the upper body tight to promote a solid base for muscular contraction.Wider back equals wider and more stable base that can support more weight.The second thing you need to work on is the back thickness. Thicker back means shorter distance the bar will travel. stronger pressing position your torso is a little thicker.This will also shorten the distance the bar travels. 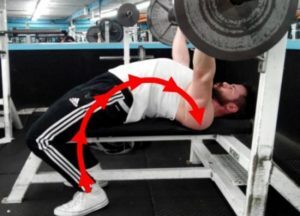 Pressing with your legs can help you tremendously when you are in the bottom bench press position.You actually use your legs to slide yourself up the bench. But because the weight is holding you down, that force helps push the weight up. 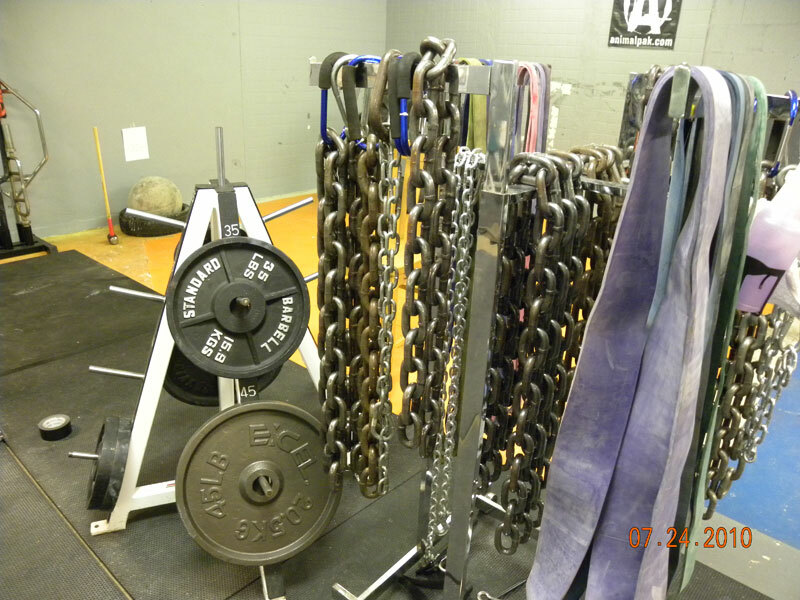 The purpose of chains in the bench press is to build speed in the bottom position of the bench press. As we lower the bar to our chest the chains should role into a pile on the floor. 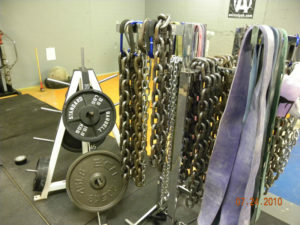 As you press the bar up, the chains come off the floor with the bar making the weight heavier. Remember, you have to watch out NOT to overtrain, eat right, and get plenty of rest if you want to increase your bench press or improve any other exercise. 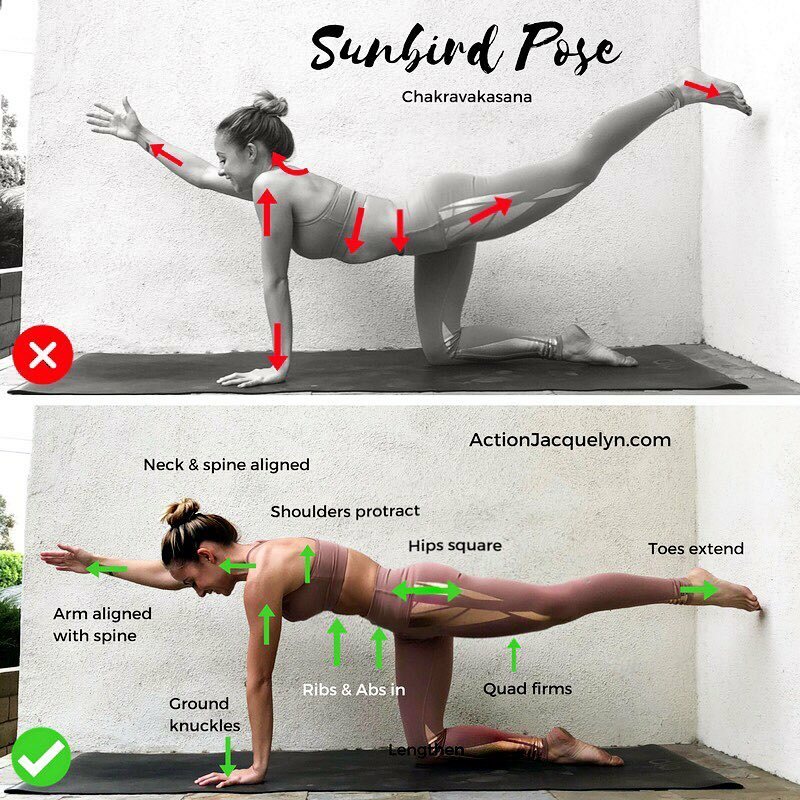 These puppy poses are amazing for opening the thoracic spine, chest, pecs, lats, abs, triceps, shoulders – basically the front side of the upper body. • Stay connected to your breath, breathing deeply in and out through the nose. • Although it may look like you’re shortening the spine, you’re actually lengthening the spine, so imagine your body from your tailbone to the crown of your head elongating as you’re stretching. • You can also place a blanket under your knees. • Hold your pose of choice anywhere from 30 seconds – 5 minutes depending on your level. This stretches your posterior chain, all the way from your neck to your toes!! It also increases circulation, suppleness and vitality! It also has a very calming and restorative effect on the sympathetic nervous system, so it’s a great pose before heading into savasana . There are various ways to position the arms, like pressing palms flat into the floor, and also clasping your hands. I’m sure there are even more variations, so this is just one example of how to support the pose. It’s important to create length in the neck and keep your gaze forward so that you don’t strain your neck. Hold this pose for 10 cycles of breath, then slowly bend your knees and roll the spine down until the whole back side of your body rests on the floor. Correct ✅: It’s really important to energise this pose by engaging the inner thighs and magnetise them towards this mid-line. This helps to support your joints and keeps the stretch safe. It also helps you to increase your flexibility. You also need to pull the Abs up and in to continue the line of energy up the spine. Counter this energy with relaxed shoulders. Incorrect ❌: The dramatisation is showing when a block is needed! There is no upward energy, and you can tell by looking at the slack core and lifted shoulders. Always use a block to help bring the floor up to you. * Root to rise! Root through the big toes and fingertips to elevate the rest of the body. * Outer hips slightly hug in to lift (be careful not to grip). * Hips lift high up to sky. * Sternum and chest lift and rise. * Shoulders draw down to release tension in neck. * There is no rooting, so there is no rising! * Big toes are not grounded, and weight is in the wrists (not fingertips). * Shoulders lifting into ears. * Tension is held in neck. * No lift happening in hips or chest. There’s many variations and this is just one. You can also clasp hands, or use a strap between the hands. What’s more important is understanding how to energetically ground and rise in the body. * Ground all corners of your feet into the floor, especially the big toe and heels. * The most mind blowing concept here is that the heels actually press into the floor and towards hips, instead of away from hips. This engages the hamstrings and creates more space throughout the spine. * Widen across chest and press shoulders down into floor. When the shoulders are open and pressed into the floor, the heart and sternum is lifted from the support of the upper back and shoulders. * Lengthen the neck by keeping shoulders depressed, and keep gaze forward * Outer hips (i.e. glutes) engage but don’t grip. • Feet are parallel to one another. Strengthen your back and core, which is needed for back bending! This will also help you find your centre of balance as you strengthen the required muscles to align your spine and limbs. * Shoulders over wrists, hips over knees. * Overhead arm is reaching forward in line with the spine, and also the extended arm and shoulder is externally rotated * Lifted leg’s quad is firm and energised to strengthen leg and reach through the toes * Lifted leg is in line with hip and spine, and can raise higher if you don’t compensate through the belly * Pose is held together with the core: ribs knit together, and lower belly pulls up and in * Shoulders slightly protract and seratus is engaged and supporting Pose * Weight is in the knuckles of the fingers, and back shin. 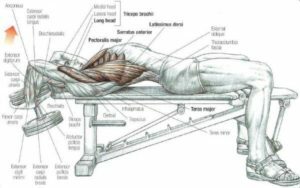 * The body is like a hammock – no support in the core, so it throws off the entire alignment * Weight is heavy in the wrists, because the other muscles are not engaged, working or lifting * Arms and legs are too high. Triceps are an often overlooked body part. Everyone wants a big fan-shaped chest and bulging biceps while other muscles take a back seat. But if you want sleeve-busting arms, you certainly can’t ignore this muscle because it makes up about two-thirds of your arm. Triceps are made up of three heads; lateral, medial, and long. 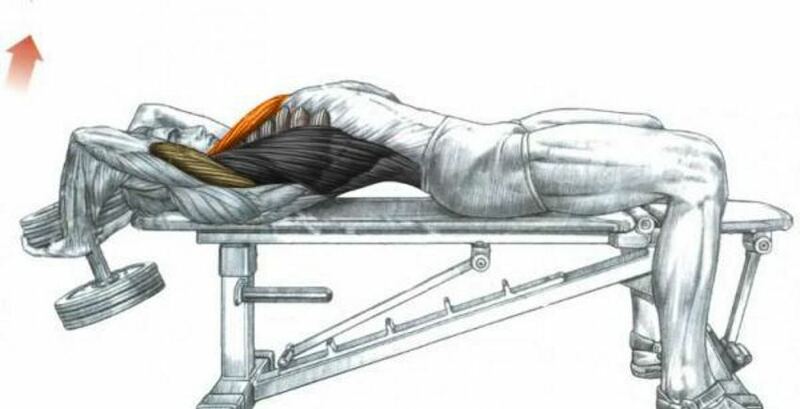 These muscles are worked by extending the arm and/or anytime you perform a pressing movement. For this reason, triceps take on a lot of work when you perform exercises for chest and shoulders. And as with most compound lifts, such as bench press, many muscles are recruited in during the lift. 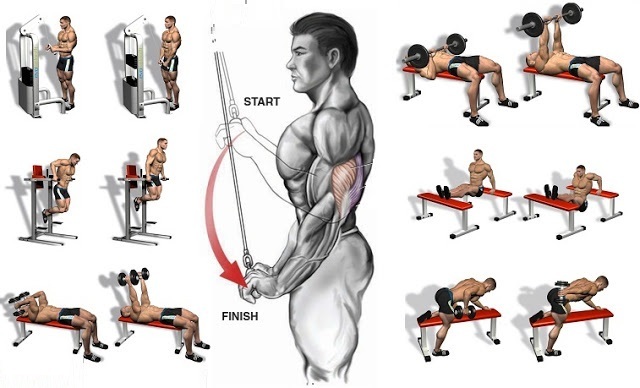 The triceps are relied heavily (no pun intended) upon during bench presses. Some realize this and use it as an excuse not to train them as intense. But the truth is they need to be given the same focus and intensity as all other muscle groups. Since the triceps are indeed being work on chest and shoulder day, when you train them you really need to focus on muscle contraction. Much of your arm mass may come from heavy bench presses and shoulder presses, but the details will come from peak contractions when trained individually. This entails performing reps with a full range of motion and squeezing the muscle at the extended part of the rep. This doesn’t necessarily mean you should go light; you need to overload the muscle for it to grow. Go heavy with the weights but don’t sacrifice form, otherwise you’re not going to get the results you’re looking for. Some prefer to train triceps on their own or on a day dedicated to arms while some will train them coupled with another muscle group such as chest and tri’s (I’ve even done them after back and also after shoulders). You can try a variety of techniques, as it’s a good idea to make a few changes in your routine every several weeks anyway. Below are a couple of workouts for triceps that can either be done on their own, on arm day, or coupled with another muscle group. Relatively few people are aware of isometrics or give incorporate it in their training programmes. The isometrics have many benefits when it comes to gaining strength, mass and making you more healthy. Also athletes tend to lack isometric and eccentric strength relatively to their concentric strength. Even if your goal is to build muscle mass, different approaches activate stimulate muscle growth. Once the body adapts to a type of stimulus it can become more difficult to build added mass. 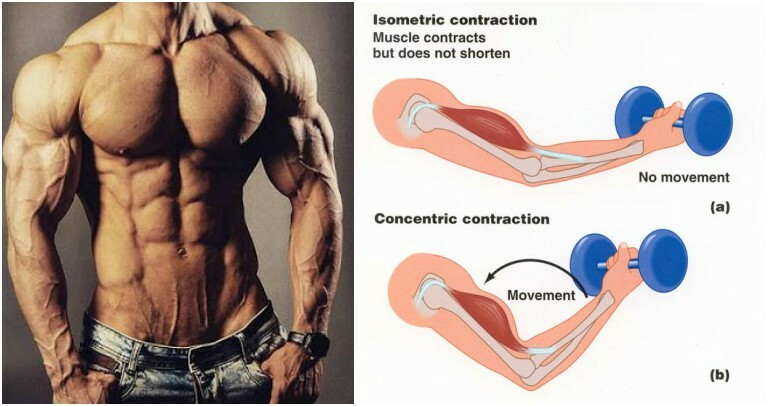 The isometric methods in this article will allow you to break through growth plateaus easily, but it isn’t going to be pain free. That said, this is one of the most beneficial aspects to incorporate for muscle mass and lean definition. Isometrics are exercises implemented, where the muscles are producing force without movement. This is achieved by either pushing or pulling against an immovable resistance. You can also hold a weight in a certain position for as long as possible, this will also give the desired outcome. In both cases, the intent is different but the external outcome is equal. When trying to move a resistance that is static, it is called overcoming isometrics. This means you are trying to overcome the resistance, when holding a weight in place and preventing it from dropping is called yielding isometrics. Although similar looking, they have a slight difference in training effects. Overcoming isometrics have more transfer to concentric strength, this makes them more neurologically demanding. They are best used for short, very intense exercises and have a greater impact on strength opposed to size. 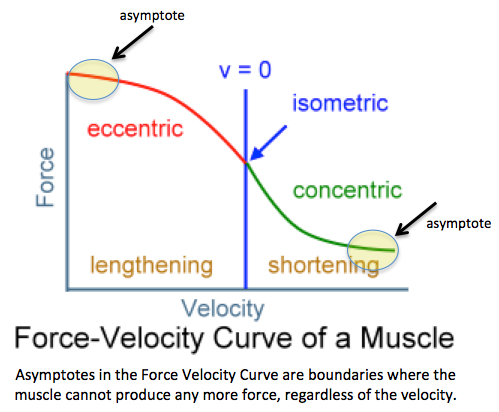 Yielding isometrics have more transfer to eccentric strength and are less neurologically demanding. These can be performed and be done for longer, they work best to increase size opposed to strength with lifts. The amount of muscle mass you have, the more muscle can help you with a greater strength potential. Capacity to recruit muscle fibres, also making the recruited fibres twitch faster. The more they twitch, the more force they produce. Co-ordinate recruited fibres. Making the various muscles involved in a lift work more efficiently together, they prevent you from using all the strength you have so you can perform more reps and sets. You may find yourself having other, more specific issues that lead to sub-optimal performance on a lift. For example: You may find yourself weaker at a specific point in the range of motion for a lift or be inefficient at recruiting a specific muscle involved in the lift. This could lead to a less efficient motor pattern. Different isometric methods are going to be extremely effective at improving these factors. There are plenty of factors that affect strength, but there are many factors to stimulating hypertrophy. One of these factors is the activation of mTor. MTor is the mediator and protein synthesis or muscle-building is the factor. When mTor is activated, protein synthesis is increased. The more it activates, the higher the rate of protein synthesis. Releasing of local growth factors, specifically mechanical growth factor (MGF), this is a variant of insulin-like growth factor-1 (IGF-1). MGF has a direct impact on making a specific muscle grow. This is released through muscle damage caused by resistance training, this is when a combined with an accumulation of lactate inside a trained muscle and transient oxygen deprivation of that same muscle. The last two elements (lactate accumulation and lack of oxygen) are maximised when blood flow to a working muscle is reduced or prevented altogether. Another way of stimulating muscle growth is by achieving muscle fibre fatigue. The muscle growth stimulated stays the same regardless of how much weight is used This indicates that maximum muscle fibre fatigue is a powerful growth stimulus. The ability to use all three factors contributes to maximally recruiting or contracting a specific muscle. If you are not efficient at contracting a specific muscle hard during an exercise, you will not optimise any of the three factors mentioned above. If a muscle is not contracting hard, you are not recruiting a maximum number of fibres including the most growth-prone fast-twitch fibres. Because you can’t fatigue fibres that were not recruited, and a fibre that is not fatigued is not being stimulated, the impact on growth will be limited. To release local growth factors you need to be able to cause a restriction in blood flow inside a muscle that is contracting long enough to result in a hypoxic state and an accumulation of lactic acid. To occlude blood flow naturally you need to contract a muscle hard, the harder a muscle is contracting, the more blood flow inside that muscle is reduced. You also need to sustain that contraction throughout the whole set, the moment you release the tension, blood rushes back into the muscle and makes it a lot harder to maximise growth factors. If you struggle at contracting a muscle hard and maintaining that contraction while moving the weight around, it will be hard to maximise growth factors. MTor activation is maximised both by accentuating the eccentric portion and by reaching a stretched position while the muscle is contracting. You cannot optimise the process if you are not efficient at creating tension in a specific muscle. 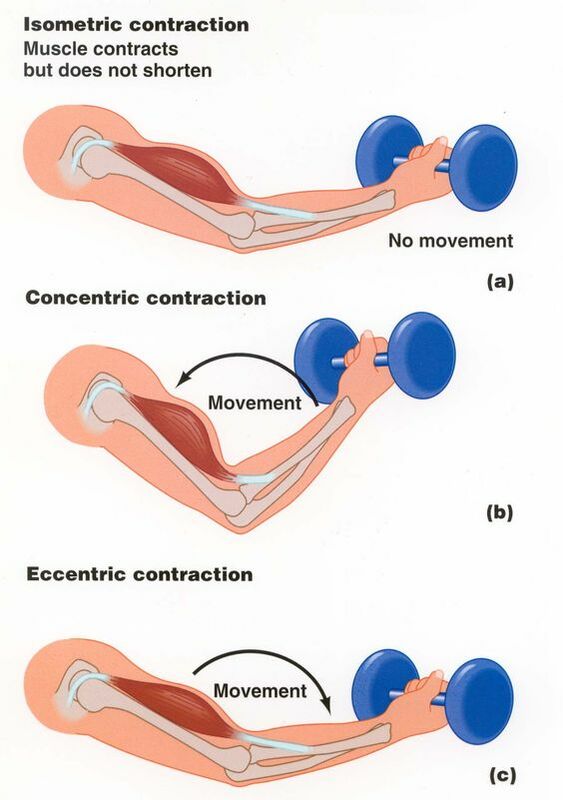 Accentuating the eccentric means flexing the muscle hard, whilst performing the contraction hard throughout all movements of an exercise. If you are not efficient at flexing and contracting a muscle, you can’t maximise growth stimulation. Performing correctly in an exercise is a function of: Movement pattern and Recruitment pattern. How well you are moving? Are you in the correct position at all times? Are your joints changing angles with the proper coordination? Two people could have the same technical execution of a lift, but they may use a different recruitment strategy. One may use the quads to do a squat, whilst the other may rely more on glutes. Although the technique of the exercise will still look the same. Movement patterns are more easy to change than recruitment patterns. It is much easier to correct your posture than to change the contribution of each muscle. Isometrics are best implemented to work on changing the recruitment pattern or strategy being used during the execution of a movement pattern. You can recruit up to 10% more muscle fibres during a maximal isometric action than during a maximal concentric or eccentric action. Because fibre recruitment is one of the key neural factors affecting strength, frequent isometric training can programme your nervous system to become more efficient at recruiting more fibres. The firing rate of the recruited muscle fibres is higher during a maximal isometric action than during a maximal eccentric action, it may also be higher than during maximal concentric actions. Over a certain length of time, by using maximal isometric actions, you can train your neuromuscular system to produce a higher firing rate during all types of muscle actions. During isometric exercises, strength is gained mostly at the trained joint angle. There is a carryover of about 15 degrees both sides, but the further away you are from the trained angle, the lesser the strength gains. This can be beneficial as it allows you to target a specific portion of the range of motion. A certain form of isometrics can be used to desensitise your body’s protective mechanisms: functional isometrics. This is a short range partial lift (around 2 inches of movement) followed by a static hold for around 6-9 seconds. By picking a strong point in the range of motion you can use 20-50% more than your full lift strength. Overtime it will desensitise your protective mechanisms, allowing you to use more of your strength potential. If you are wondering if you should be bulking, then you should definitely be bulking. 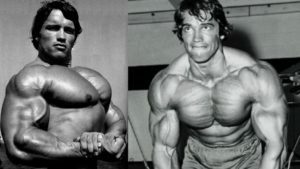 A lot of people make fun of the perma-bulkers but if you put your body through a period of intense muscle development, your gains will become stunningly better than now. This is a technique that has been in use for a long, long time and you can see it everywhere around you. Just look at the movies – Ryan Reynolds in “Blade Trinity”, Jason Momoa in “Conan” and Chris Hemsworth in “Thor” all bulked before they shot the movies. There is a lot of information on the internet about how to bulk, but in the end you can summarize it in these five points. Here’s how to bulk like a pro. This is your caloric maintenance number, the number of calories that your body needs to keep itself where it is right now. If you want to put on more muscle, you have to tell your body to grow more by sending it growth signals. You bulk using two main signals to your body – eating and working out. 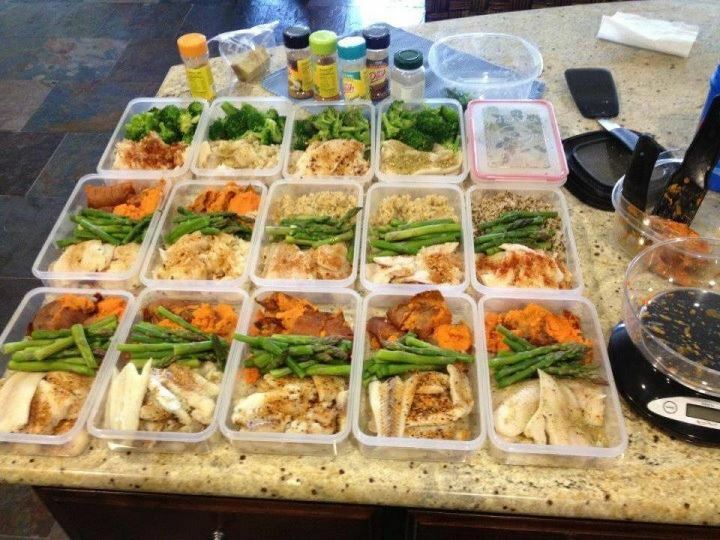 The first and foremost thing you should do before you start planning is get your calories in check. If you don’t do this, don’t even bother starting in the first place. If you want to put on weight, your body will need a large number of calories which are more than what it needs to maintain itself. It’s really simple – consume more than your body will burn! Use a calorie calculator. These are based on years of research and data and they will let your figure out your daily calorie needs. Eat the exact amount of calories that the calculator designated as your daily calorie need, for one week. Don’t change your routine or anything else, but check your weight before and after that week. If your weight hasn’t changed in that one week, do it for another week just to be sure. If your weight has increased, eat 250 fewer calories and do it for another week. If it has increased, eat 250 more calories per day and try it another week. You should be doing this until you find two consecutive weeks where your weight has not changed. This means that you might need a month or maybe even two to prepare for your bulking period, but when you do prepare, you will have mastered the calorie numbers and you will be able to control what happens with the calories in your body. Now that you know how many maintenance calories you should eat, you can move on to the next phase – creating your bulking diet. You need to find the sweet spot that will let you get the best gains possible, because if you overeat, you will be putting on fat mass, but if you under-eat you will not be making as good a progress as you could be. The sweet spot you’re looking for is between 5% and 20% extra calories per day. If you eat with a 20% surplus, you will start getting fat and eating with a 5% surplus is the bare minimum for any muscle mass boost. If you eat somewhere between 5% and 10% surplus, you will optimize the lean muscle to fat tissue ratio, and if you eat at 10% surplus calories you will have the adequate amount of food to grow sustainably. Also, as it turns out, if you eat a 20% caloric surplus a day, you don’t get more lean muscle. Instead, you just get fatter. STEP 3: Know What You Need to Eat! Now that you’ve figured out how many calories you need to eat and determined your 5% to 10% caloric surplus, you need to know how you will actually ingest those calories into your system. You need protein, carbs and fats. Here’s how to divide them. PROTEIN. If you look it up, you will see that there is so much literature regarding protein intake that you could start reading right now and never finish even a percentage of it while you live. More or less, all of the studies come down to this – you need a gram of protein for every pound of bodyweight per day if you want to grow. Eat 1.5 grams of protein instead if you need to, but the norm is around 1 gram for every pound in the beginning. CARBOHYDRATES. Carbs have been well documented as well. The studies say that you should eat 2 grams of carbs for every pound of bodyweight per day, which should be somewhere between 45% and 55% of your daily caloric needs. If you work out for 2-3 hours daily, feel free to boost your carbs to 3 grams for every pound of bodyweight daily, which would be between 55% and 65% of your total caloric needs. FATS. You need fats as well, but they aren’t just energy – they are more of a utility macronutrient, which will let you bulk more easily. It’s easier to ingest the necessary amount, and to figure out what that is, just take your protein and carbs numbers together, subtract them from your daily calories and you will have the number of calories you need to consume in fats. If you want to start a bulking diet, chances are you think it’s gonna be all supplements and no fun. You couldn’t be more wrong. 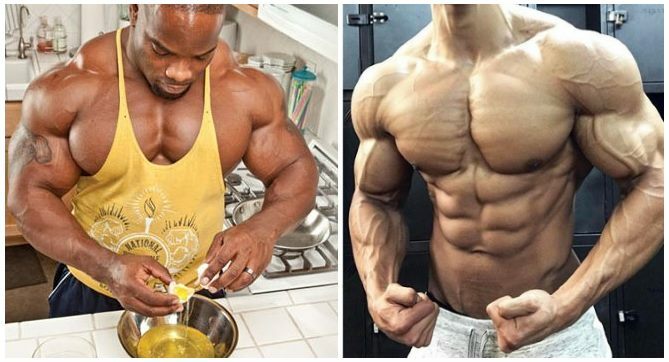 A bulking diet is based on the right food, with supplements added in to maximize the effect. Here are the supplements you will need for a good bulk. WHEY PROTEIN. When you get tired of eating steak, chicken breasts and fish, you will need to get some whey in your body. Also, whey shakes can help you ingest liquid calories which you might need urgently after training. There is no bulking period without whey protein. CREATINE. If you have a larger training volume, you will have better muscle mass gains. It’s that simple. Creatine has been proven to boost your training capacity and will boost the volume of your training as well. 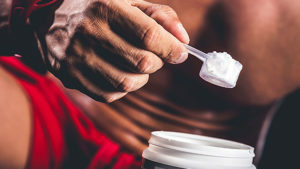 If you’re trying to increase your training volume and build muscle mass without taking creatine, you are definitely missing out. CAFFEINE. You will need caffeine for one simple reason – it works! It will help you train harder, so consider drinking a cup before working out. Sleep is an integral part of the muscle growth process and your body will not grow if you don’t sleep. Your body receives the signals that it needs to grow while training, but it only grows when it’s recuperating while you sleep. 8 hours is fine, but 10 is better because when you sleep there are a number of recovery and hormonal reactions in your body that grow your muscles. There is no question but building muscular forearms will enhance the way you look, but that’s only part of the benefit. Muscular forearms will also improve your performance when you participate in a sport or while you are exercising. Chin-ups, dead lifts, and bicep curls are a lot easier to perform when you have good muscular forearms. 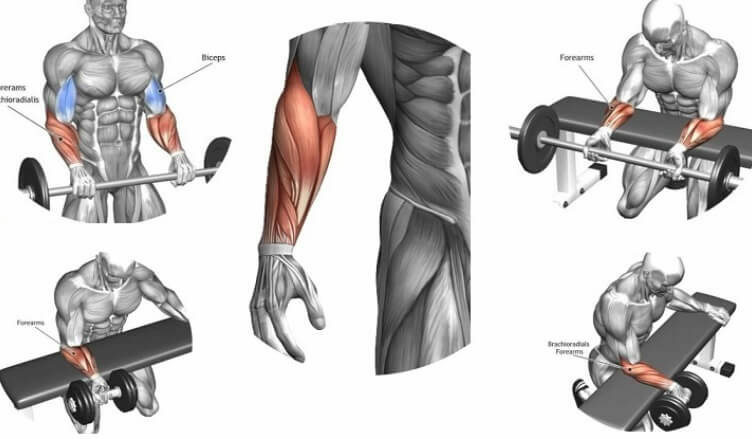 The following article discusses some of the best forearm exercises for building those muscular forearms. 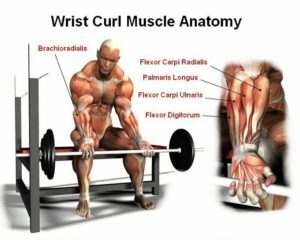 Barbell wrist curls have long been recognized as the best forearm exercises for building up muscle. Perform this exercise while sitting on a bench, leaning forward far enough to be able to place your forearms on the bench between your legs. Grip a barbell, palms upwards. Extend your wrists, lowering the barbell toward the floor. Uncurl your fingers to enable you to lower the bar a little further. Tighten your grip of the barbell and curl your wrists upward to raise the barbell just a high as you can. Lower the barbell toward the floor slowly, and repeat the exercise. This is one of the best forearms exercises that are traditionally used for increasing the strength of the forearms. It is seen often in many strongman competitions. 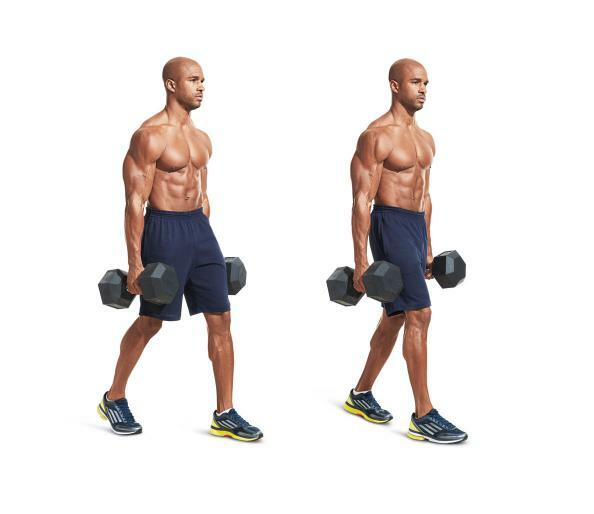 Pick up a fairly heavy dumbbell in each hand. 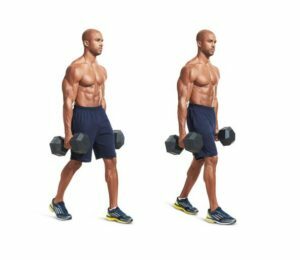 With your arms straight down at your sides and your shoulders down and back, walk as far as you can go until your grip on the dumbbells can no longer be maintained. Place the weights on the floor to give your arms a chance to recover. After a brief rest, pick up the weights again and continue walking. 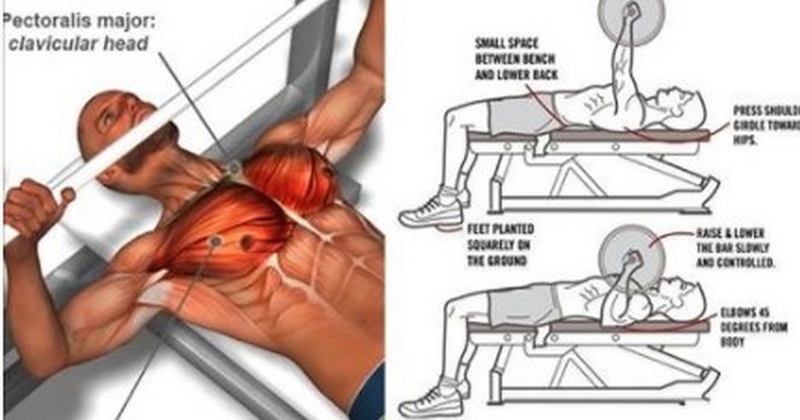 This is another one of the best forearm exercises for building up your forearms and your biceps at the same time. Grip a barbell with an overhand grip, hands spaced about hip width, and your feet spaced at shoulder width. Ensure that your thumbs are on the top of the bar, not wrapped around it as usual. With your arms straight and the barbell laying across your thighs, curl the barbell up to the level of your shoulders. Let the barbell slowly return to the start position and perform the exercise again. This exercise can be performed anywhere at any time. 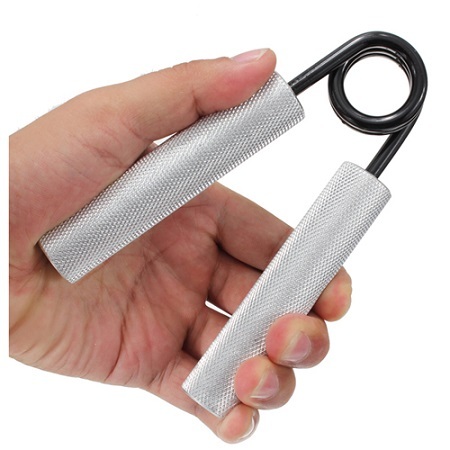 All it takes is a small hand gripper, one of the best forearm exercisers ever invented, which is available at any sporting goods store. One exercise simply involves gripping the gripper, closing it as far as possible and holding it in the closed position for as long as you can. Another good exercise is to progressively increase the number of grips done with each hand. Squeeze the gripper once with one hand, and then do the same thing with the other. Each time you change hands, increase the number of times that you squeeze the gripper by one. Keep doing this until you simply cannot do any more. This is certainly an unusual name for an unusual exercise that is great for strengthening your fingers and forearms. Take a single sheet of newspaper and grab it by the corner using your thumb and forefinger. Using only these two fingers, gather the sheet of paper up into a ball, and then squeeze the ball tightly in your hand until your grip tires. Do this again with your other hand. Keep alternating hands until you have scrunched up the entire newspaper. Dumbbell Pullover: Chest or Back Exercise? There is a lot of confusion regarding dumbbell pullovers and if they target your back or your chest muscles. Dumbbell pullovers can target both your pecs and your lats if you change their point of emphasis by making tiny changes in the way you perform them. 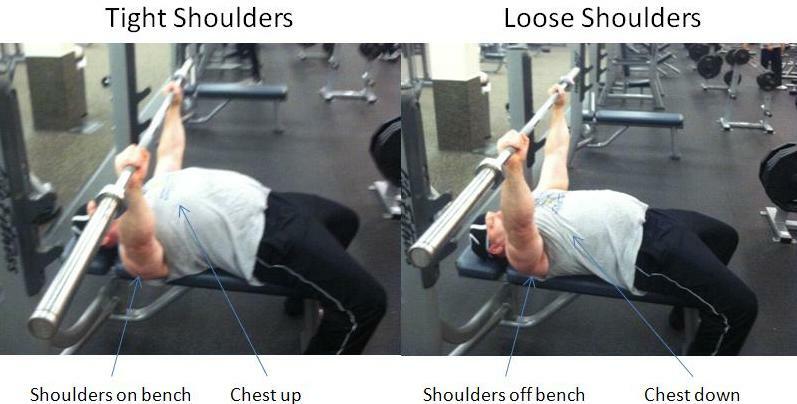 To do a dumbbell pullover, grab a dumbbell and sit on a bench. 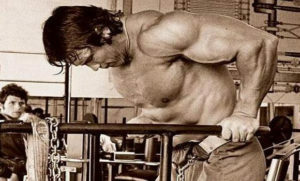 You will need a lighter weight, one that will strengthen your mind-muscle connection with the muscles you intend to work on with each of the techniques. Lie down on a bench and hold the dumbbell with both of your hands forming a diamond shape between them and slide back so that your head is hanging off the edge of the bench. Keep this position for all dumbbell pullover exercises. The difference between the dumbbell pullover exercises that target your chest from the ones that target your lats is the bend in your elbows when you perform a rep. When you want to work on your pecs, keep your elbows in and your arms as straight as you can while doing the exercise. Lower the dumbbell down as far as possible and lift it up the exact same way. When you get to the top of the movement, flex your pecs and keep pumping out reps just like this until you reach your goal. When you want your dumbbell pullovers to affect your back muscles, slightly flare your elbows and make sure to keep the dumbbell as close to your body as possible, which means your elbows are going to widen even more. When you get to the top of the movement, flex your lats and stop before the dumbbell reaches your chest. You might need to practice a few times to get that mind-body link, but make sure to get a lighter weight, do both options and see how your muscles react. With enough practice you should soon be able to do this exercise for both body parts whenever you want. Posted byadmin 29. January 2018 Posted inUncategorizedLeave a comment on Dumbbell Pullover: Chest or Back Exercise? Schwarzenegger’s peak physique holds the status of “the best of all the time”, no one can argue with that. Not only that his overall development set him apart from many bodybuilding legends of his time, but his iconic chest was one of the biggest and fullest in all of bodybuilding history! When it comes to building a massive chest, there’s no better authority than the seven-time Mr. Olympia champion who placed major emphasis on the importance of having an impressively sculpted chest, even though we have witnessed enormous growth in the size of physique competitors over the past three decades. Arnold worked hard and heavy to build his chest, training his chest three days a week and often alternating his chest workouts with his equally hard and heavy back sessions. His no-nonsense approach to training quickly paid off and only five years after devising his chest-blasting routine, his chest went from 39’’ to an incredible 58’’! 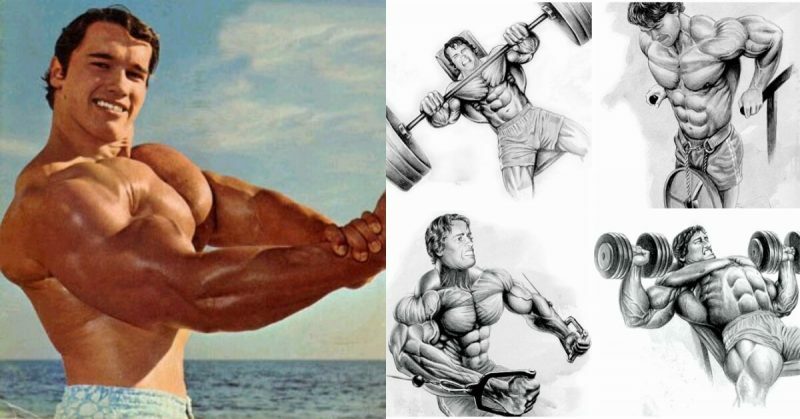 As we all know, Arnold was a huge fan of muscle confusion and TUT, which he often achieved by implementing pause reps when training his outer pecs with heavy dumbbell flies. He did this by taking the dumbbell all the way down and getting a maximum stretch, then bringing them back up only to three-quarters, stopping right before the weight reaches chest level. If you look at any Arnold footage from his golden days, you can notice that he went really deep on every rep, with his upper arms going near perpendicular to the floor at the bottom. Now add some three-quarter dips to the mix and you’ll be right on the road to Arnold’s famous chest fullness! When performing cable crossovers, Schwarzenegger made sure to give his chest a hard squeeze and flexing his pecs at the point when his arms touch, which helped him get that etched in line down the middle of his chest. You can use the same method with dumbbell flyes, of course, simply bring your hands together at the top of the movement and contract your pecs as hard as you can. 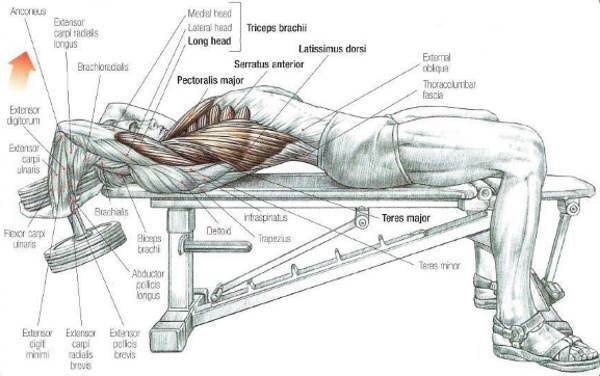 As with any other body part, hitting the muscle from all possible angles is crucial for its overall development, Arnold was especially creative with the incline bench press, the ultimate move for emphasising the upper chest. 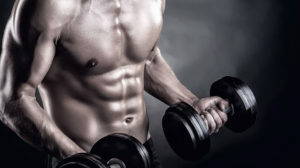 He would hit his upper pecs from anywhere from 15% to 50%, which targets the upper muscle fibres even deeper – in order to sculpt even the smallest muscles that bodybuilders usually neglect. You could say that his detail-oriented approach, together with his impeccable work ethic, was what helped him build his unforgettable physique. One common mistakes that many lifters do when performing the incline bench press is shorting their reps at the top and bottom and not going to full extension, which is crucial for fully engaging the upper chest. So if you want to get the full benefits of this great move, check your form and make sure you’re going through a full range of motion. 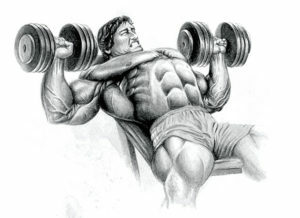 Being the training genius that he was, Schwarzenegger would try to increase the intensity of his chest workout in any way possible, incorporating pause reps on the bench press, alternating the range of motion from full to half or quarter, adding in 5-rep max heavy days or using drop sets and forced reps to spice up his sessions whenever he thought his routine lacks intensity or he was approaching a plateau. Since building a physique that truly stands out from the rest is more a thing of having the right mindset and putting in 100% in every session than just knowing the right exercises, make sure to get out of your comfort zone once in a while and experiment with different techniques in the name of muscle confusion. If you’re looking to put Arnold’s tips into practice, you can try his traditional chest workout. 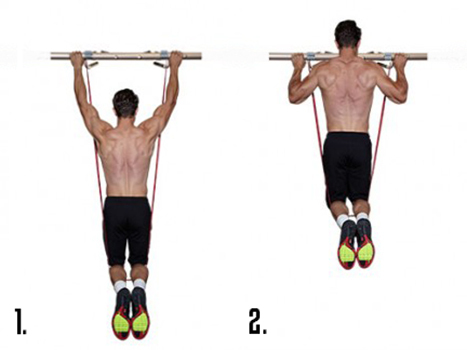 When talking about upper body workouts, you can’t forget to mention the pull-up. In comparison, the lat pull-down exercise isn’t even close in importance to the pull-up, even though it can add great variety to your workout. The pull-up, which is by far the most effective upper back developing exercise, because it achieves the maximum possible neuromuscular activation, unlike all the other exercises which don’t have this effect on your back. The pull-up is a test of both physical and mental, but it’s regarded as an exercise that can test exactly how much functional strength you have. This is because it measures strength to weight ratio in a better fashion than other exercises for your back. However, when you look at the numbers you will see that most people, men and women, can’t do a single pull-up! 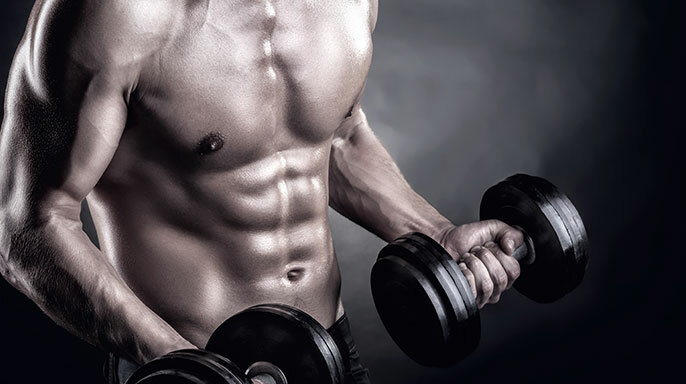 If you want to build muscle mass on your upper body and boost your upper body strength as much as possible, you want to look at these five tips that you can use to achieve your goals. Doing pull-ups is basic when it comes to the level of strength you need to have to achieve them. 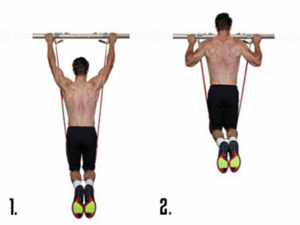 You should use assisted pull-up machines or bands when starting. When you use assisted pull-up machines, they don’t make use of your upper back muscles which have a role to stabilise your body. When you use resistance bands they help you recuperate, adding momentum to the upward movement of the pull-up (concentric part), which is the hardest. Sometimes, that little momentum is all that you need to complete your pull-up. When buying resistance bands, know what you want, you can discern them by colour, which indicates different tension. Yellow is the weakest, with least resistance. Blue, black and orange offer the most tensile strength. If you’re just starting now, make sure to pick one that will let you do at least five pull-ups. When you reach the ability to do 12 of them, get a lighter resistance band and start over until you can do them without bands. If you want to be able to do a consistent number of reps, you will need to learn to do them on your own! You have to become stronger instead of stagnate in one place. Building strength can only be come when you’re exercising at the very least at 80% of your maximum effort. Try some bent-over or inverted rows or some TRX rows to pump up your intensity and build more strength. You can also try some other varied exercises. 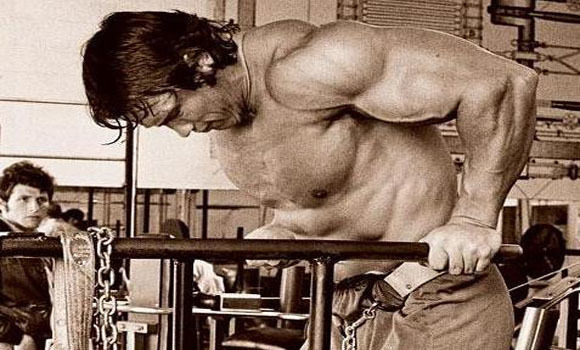 Eccentric pull-ups have also been observed to be a great path to building strength. Lower yourself slowly until you straighten your arms. Jump up and do it again. Your muscles will always have more power when you’re going down so it shouldn’t be too hard. I suggest you start with three to six seconds of descending and increase that time as you continue your workouts. When you can do at least six eccentric pull-ups with decent control over your body, you should now be able to do a full pull-up by yourself! Your back has a lot of muscles, they are all differently activated. However, when you switch up your grip, you can activate as many of them as possible and it will also help you prevent overuse injuries as well as burn out. The pronated grip has your palms facing away from you. The supinated grip has your palms facing towards you. When using a supinated grip, the area on your upper back which has been targeted will be changed and the intensity will also transfer on the biceps brachii. The supinated grip is also one of the best for activating the latissimus dorsi and upper arms, even if it is the most basic method of them all. Sometimes, you might get tired or your grip might get sloppy. To remedy this, get some chalk or some wrist straps. This is a favoured method amongst trainees since it lets them lift more and finish their sets even if their forearms are becoming tired before their upper backs. If you’re doing a lot of exercising, using chalk or some wrist straps will help you get to your goals and even surpass them. You need a lot of strength and endurance to do pull-ups and both of these things are created with vastly different rep ranges. Strength requires low reps, whereas endurance needs high reps to be built. This means that you should be getting some dip belts, resistance bands and weighted vests to help out. To build strength, exercise for about four weeks with a dip belt, ranging from four to six reps per set. To build endurance, get some resistance bands and exercise with 10-15 reps per set. 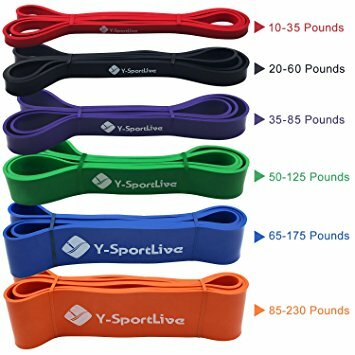 You will need the resistance bands and a variety of them because using the different tensile strengths correctly, you can achieve results and increase your rep numbers with incredible speed. Get your technique straight in order to make any progress, and this counts for any exercise. You should begin from a dead hang position, where your shoulders are close to your ears and with your arms completely straight, with retracted shoulder blades. When you start pulling, squeeze your abs, keep your eyes on the bar above you and push your chest up. Pull towards the bar and keep your chest in the driver’s seat, while your legs should be in a straight line with your torso as much as possible. If your chin passes the bar or your chest reaches it, stop and observe the contraction. Then, start lowering yourself with as much control as you can muster, until you reach the point that you started from, with your arms straight and you shoulders retracted. Finally, make sure that your shoulder blades are tight because if you try to do a pull-up with a loose shoulder girdle, you might get yourself a rotator cuff injury. 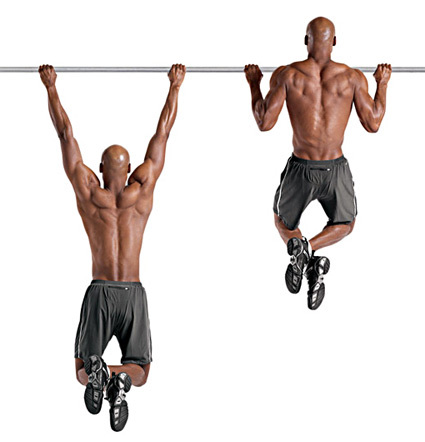 These five tips should help you do pull-ups as much as you want. Just make sure to train with consistency and you will be well on your way to doing some great pull-ups.